EAST LANSING, Mich. – The sport of mixed martial arts (MMA) has gone globally mainstream, thanks to marquee UFC stars such as Conor McGregor and Daniel Cormier. MMA’s popularity is prompting people to join training gyms and try to fast-track into sanctioned cage matches. But a few Lansing-based MMA instructors believe the art form should be taught for different reasons other than cage fighting. 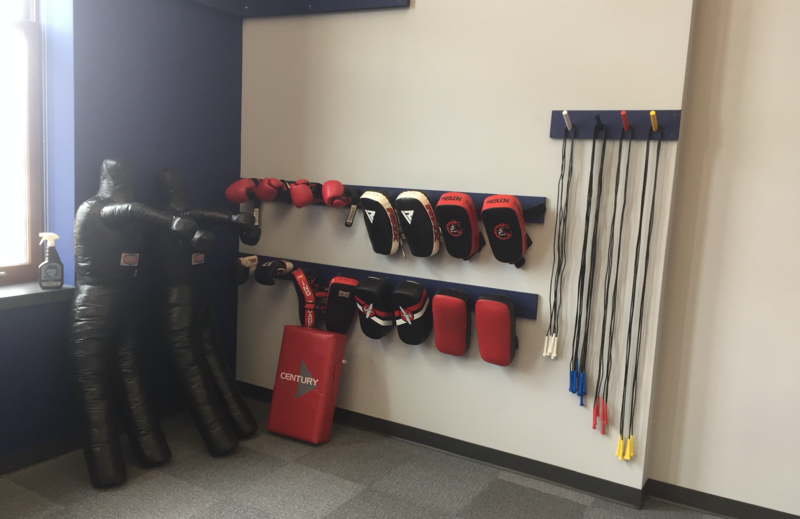 Daniel Smith, the owner and head instructor at Michigan Muay Thai Academy in Lansing, focuses his teachings on the self-defense aspect of martial arts. K.S.K. 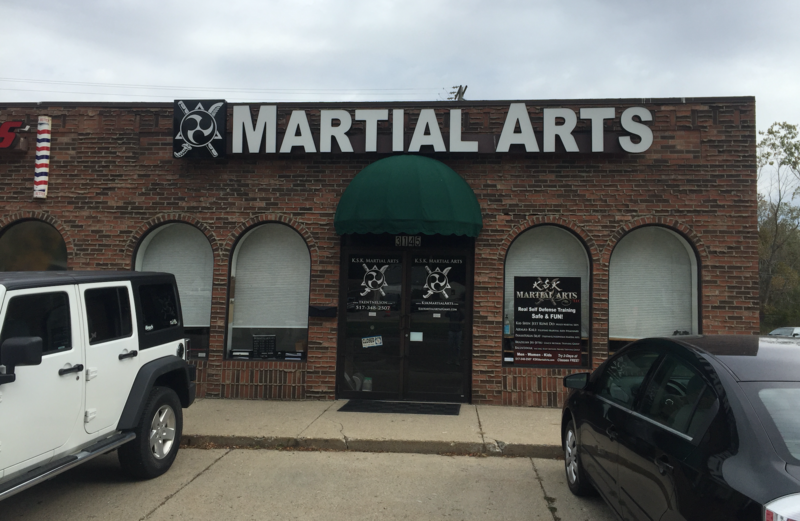 Martial Arts in Lansing. “What I teach people to do is: I educate them on fighting, and how it works, why it works, when it works and who it works against,” Smith, 51, said. Smith has practiced martial arts for 40 years and taught Michigan State’s self-defense kinesiology course from 2003-17. He said it’s important for his students to learn the basics of martial arts as an art form before jumping into the sport, and UFC. “I teach my students more about the functional and practical parts of the arts, more than the fanciness of the arts,” Smith said. T. Kent Nelson, the founder and guru of K.S.K. Martial Arts in Lansing, said the teaching of martial arts as a sport is entirely different from teaching it as an art form. Nelson has over 30 years of martial arts training, and like Smith, uses his expertise to teach self-defense instead of developing future UFC fighters. Nelson sees learning self-defense as one of the main reasons why parents enroll their kids at his school. But as people come to train, it’s more than just self-defense. Smith believes the growth of the UFC has caused many to become interested in martial arts for the wrong reasons. John Faett, master and director of Victory Martial Arts in Okemos, believes the UFC, and the behavior of its more controversial fighters, are bad for martial arts. He referenced the post-fight Oct. 6 brawl at UFC 229. It occurred after the McGregor vs. Khabib Nurmagomedov fight, where Nurmagomedov immediately climbed out of the cage and hurled at McGregor’s training partner and Bellator fighter Dillon Danis. This was followed by members of Nurmagomedov’s team jumping the cage and attacking McGregor. “I thought the last UFC – where the guy jumped out of the cage and started punching somebody – was disgusting, and for me, that’s not martial arts,” Faett said. But the UFC organization has seen growth, despite its not-so-perfect image. In 2001, the first year of current UFC President Dana White’s tenure, the company averaged about 70,000 pay-per-view buys per event. Last year, UFC averaged approximately 333,000 pay-per-view purchases per event, according to Forbes. Nelson said the increasing popularity of UFC will often cause fans to call his school and look to train in cage fighting. But they don’t usually get what they are looking for.